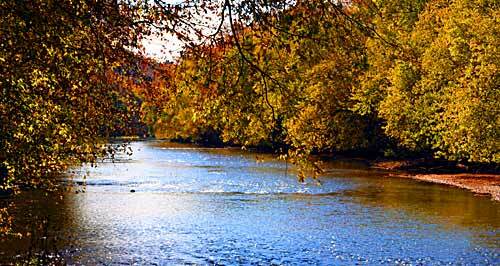 The scenic beauty and natural features of the Mohican region can be attributed to the the ice age that covered the area 12,000 years ago. The last glacier to enter Ohio, the Wisconsinan, ended its advance in the Mohican region forming a glacial boundary. Several moraines, linear ridges of soil and rock till deposited along the ice edge, can still be seen in the area. Erosion caused by glacial melt waters quickly speeded up the carving a narrow gorge in the Clear Fork area of the Mohican River. This gorge cuts into the sandstone bedrock exposing huge outcroppings and creating steep cliff walls. The gorge is more than 1000' wide at the top and over 300' deep. The striking Clearfork Gorge with its towering hemlocks and stands of old-growth white pine are of national significance. The National Park Service has thus dedicated the area as a Registered National Natural Landmark. The state park is a 1200 acre corridor along the Clearfork and Pleasant Hill Lake, surrounded by Mohican Memorial State Forest and adjacent to Pleasant Hill Park and Malabar Farm State Park. 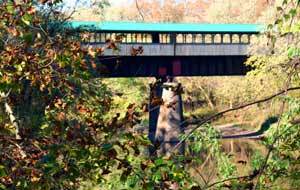 The entire area is often referred to as Mohican Country and all combined it totals more than 10,000 acres that attract canoers, campers, and hikers. 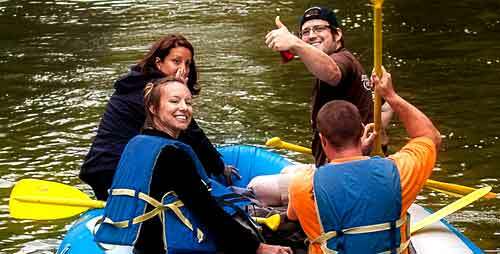 This is Central Ohio's best recreation area with more than 1.5 million visitors every year. The lodge has 96 air-conditioned rooms, each with a private balcony and color television. The lodge itself is equipped with private meeting and banquet rooms for groups up to 425, a dining room, sauna, gift shop, lounge, and olympic-size indoor and outdoor swimming pools. The park offers 25 2-bedroom family-style cottages along the river in an open wooded area. Each cottage can accommodate up to 6 people. Heated for year-round use, the cottages come equipped with cooking utensils, towels, bed linens and blankets. The state park provides 120 campsites with electricity, fire rings and picnic tables. Full service hookups are available at 33 of the campsites. The main campground is equipped with showers, flush toilets, dump station and a camp commissary. There is also 12 walk-in campsites near the main camp area. Hemlock Grove Campground has an additional 24 non-electric sites, with pit latrines, tables and fire rings. The group camp can accommodate organized groups of up to 100 people. There are also 2 camper cabins which come equipped with bunk and double beds, a mini refrigerator and fan, and are available during the summer months. 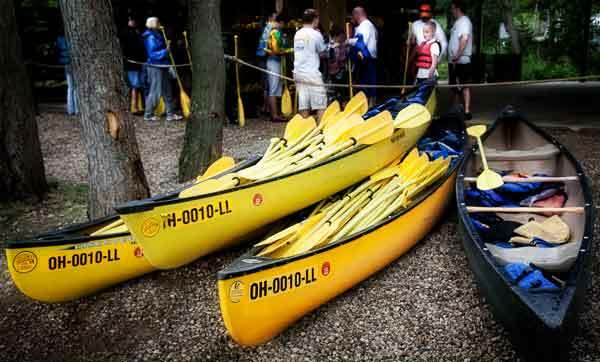 The Mohican State Park Area has numerous canoe liveries where you can rent canoes, kayak and tubes with trips of varying duration with pickup and return to your starting point.